The hardest part of writing this entire review was deciding what to name the film! In Japan it is known as The Borrower Arrietty, in the US The Secret World of Arrietty and in the UK simply Arrietty. I decided to go with the UK version, Arrietty, not only because its what the Japan Foundation call it but also because it is easier to write. Although the source material is based upon Mary Norton's "The Borrowers", there can be no doubt that this is a Studio Ghibli affair. No one, not even the House of Mouse, manages to make animated films of such a high quality and with as much soul as our dear Arrietty. This film is comparable to a big, ol' slice of chocolate mudcake. It looks delicious, its sweet and moreish and even those who aren't all that fond of mudcake will still love it. Arrietty does a great job of creating a world within a world based upon Norton's work. It doesn't have the scale of some of Ghibli's best known works such as Princess Mononoke or Spirited Away but is does manage to build scale around the tiny world of The Borrowers, a world where rats threaten lives, and not just because of rabies and the black plague. Its actually hard to wrap your head around the scale of Arrietty because even though Sho is a sickly boy, trapped in his bedroom that very same room is the size of a city block for our diminutive protagonists. This is a world where little people live underneath our feet and "borrow" our belongings leaving us to wonder "where the heck did my other sock go?". The one thing that lets Arrietty down is something that generally makes Ghibli films shine, characterisation. 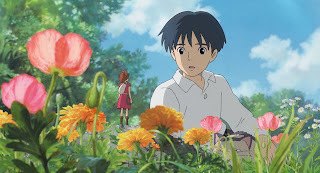 It felt as though there was too much time spent building up the believability of the world and not enough spent on our main characters, Arrietty and Sho. This eventually leads to a somewhat lacklustre ending of nil consequence. This opinion is purely based upon adult reasoning as I search for something to balance my otherwise gushing review. From the opinion of my inner child, it is a visual spectacle of magical proportions. Sure, the characters aren't as memorable as Totoro or Porco Rosso but the overall spectacle is beautiful. In his directorial debut, Hiromasa Yonebashi flexes his Ghibli muscles and shows that he certainly has the potential to be a Ghibli mainstay, stepping into the unenviable shadow of Isao Takahata and Hayao Miyazaki. Surely his experience as an animator on Spirited Away and Howl's Moving Castle had somewhat prepared him for the task. The voice of Arrietty is supplied by the reasonably unknown Mirai Shida while being supported by Ryunosuke Kamiki, a Ghibli regular who has featured in Spirited Away, Howl's Moving Castle and the non-Ghibli Summer Wars. Probably the best known voice among the cast is that of Tatsuya Fukiwara (Death Note, Battle Royale) who plays the late arriving Spiller. Although Arrietty already has two different English dubbed versions, the original Japanese soundtrack will be used for the Japan Foundation's 15th Annual Japanese Film Festival. 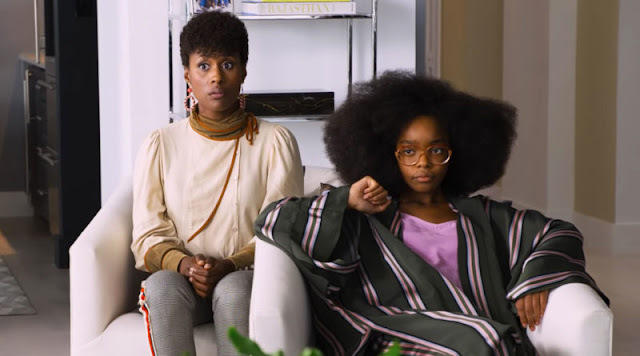 This may lose a slice of the younger crowd but hopefully the old adage "a picture tells a thousand words" will ring true and allow for younger audiences to enjoy the film while not understanding the entirety of the dialogue. This shouldn't be a problem because from a purely visual stand point, Arrietty is one of my favourite films at this years Japanese Film Festival. Although you should be warned, I've never seen a Ghibli film that I haven't loved so I may be slightly biased. 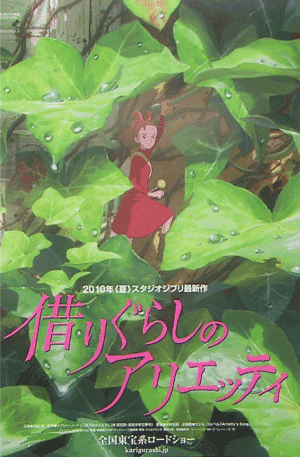 Arrietty is showing exclusively at the Japanese Film Festival on Saturday 26th November in Sydney and Sunday 4th December in Melbourne with tickets available now. Greetings! Extremely useful guidance on this informative article! It's the small alterations that make the greatest modifications. Many thanks a whole lot for sharing!